Ambassador Per Egil Selvaag took up his duties as Permanent Representative of Norway to the OECD in Paris on 27 August 2018. Mr. Selvaag was born in 1960 in Trondheim, Norway. He holds an MSc (Econ) from London School of Economics (1985) and a Candidatus rerum politicarum degree in international relations from the University of Oslo (1988). Mr. Selvaag worked at the Norwegian Ministry of Trade and Shipping from 1986-1987. He joined the Ministry of Foreign Affairs in 1988, and has worked at the Ministry in Oslo as well as at Norway’s embassies in Stockholm (1990-1993), Cairo (1993-1996) and London (2005-2008). He was Deputy Head of Mission both in Cairo and in London. At the Ministry of Foreign Affairs in Oslo, he has served as Director of the Office of the Norwegian Minister for International Development (1999-2005), Senior Adviser to former Prime Minister Gro Harlem Brundtland in connection with her role as Special Envoy of the UN Secretary-General on Climate Change and other international assignments (2009-2011), and Deputy Director General of the Department for Human and Financial Resources (2011-2014). He has worked on a wide range of issues, including development, trade and economic affairs, European affairs, Middle Eastern affairs, multilateral affairs, climate change, consular affairs, security, and administrative affairs. 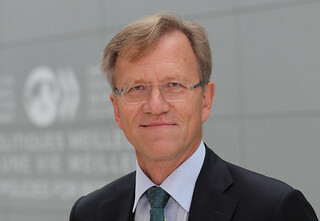 Prior to taking up his duties as Ambassador and Permanent Representative of Norway to the OECD, Mr. Selvaag was Director General of the Foreign Ministry’s Services Department. Ambassador Selvaag is married and has two sons.